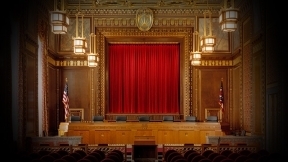 The Honorable Yvette McGee Brown was sworn in as Ohio Supreme Court Justice on January 8, 2011, in the Martin Luther King Jr. Performing & Cultural Arts Complex in Columbus. Stephanie Yancey Bland, President, Alpha Sigma Omega Chapter, Alpha Kappa Alpha Sorority, Inc.